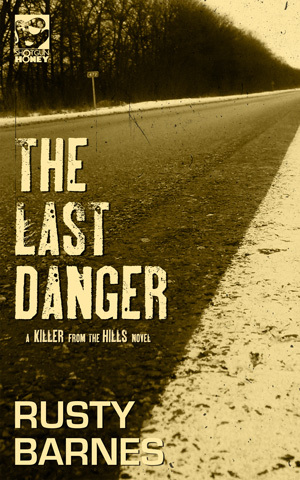 TAMPA, Fla. - Oct. 26, 2018 - PRLog -- Down & Out Books is pleased to announce that THE LAST DANGER, the second Killer from the Hills thriller by Rusty Barnes, is published today by its imprint Shotgun Honey in trade paperback and ebook formats. Investigating a deer-poaching incident that lands him in deep trouble—with a broken ankle and multiple bullet wounds—wildlife conservation officer Matt Rider finds himself at odds with members of the renegade Pittman family, including clan leader Soldier Pittman. When a large sum of Pittman's drug money comes up missing, Soldier Pittman is convinced Rider stole it. Rider's instincts are to call on his trusted brother Randy and his friend Dean Blackwell to help him out, but none of them imagine the lengths to which Soldier Pittman will go to get his drug money back. RUSTY BARNES is a 2018 Derringer finalist and author of the story collections Breaking it Down (Sunnyoutside Press 2007) and Mostly Redneck (Sunnyoutside Press 2011), as well as four novels, Reckoning (Sunnyoutside Press, 2014), Ridgerunner (Shotgun Honey Books, 2017), Knuckledragger (Shotgun Honey 2017) and The Last Danger (Shotgun Honey 2018). In its eighth year as an independent publisher of award-winning literary and crime fiction, Down & Out Books (https://downandoutbooks.com) is based in Tampa, Florida. For more information about the book, to request a review copy of the book, or to inquire about an interview with the author, contact info@downandoutbooks.com.